Become a registered volunteer by completing our online application! 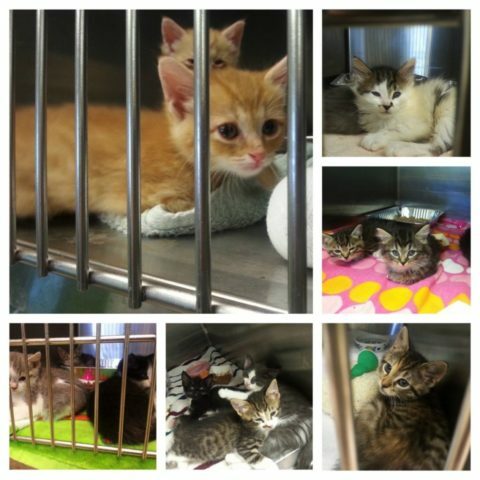 Fostering is a critical part of saving the lives of homeless and abandoned animals in our community. It’s not an easy job, and we’re grateful you’re considering becoming a part of HSC’s iFoster mission. Foster families are vital to what we’re trying to accomplish at the Humane Society of Charlotte. Our iFoster volunteers help prepare young, shy, senior or animals recuperating from injury or illness, ready to be adopted into forever families. Their time in your care and subsequent adoption not only saves the lives of the animals you’re fostering but also allows us the extra room to bring more animals into our shelter. Click here for our iFoster brochure. Are you able to separate the foster animals from your own? We recommend you separate the foster animals from your own companion animals at least when you are not there and for a trial period. This makes sure everyone gets along. A separate room or enclosed area with NO carpet will work best. Bathrooms make a great foster area. Remember to keep the toilet seat closed (kittens will try to jump in). Are you aware that there is a great deal of clean-up and even possible damage to your home when you take a foster? Are all family members whose lives will be impacted by the fosters willing to have these animals in your home? Fosters may be noisy; they may be messy; they may break or otherwise damage items in your home. A part of your living space will have to be closed off and dedicated to them. You will have to spend significant amounts of time with them and may have to make multiple trips back to the shelter with them even if they are healthy (kittens, for example, need to have their weight gain checked regularly). You will need to pay attention to your fosters. You’ll need to spend enough time with them to know their normal behavior patterns. Only then will you be able to spot the signs of illness, or worsening of symptoms, in time to avoid your foster needing expensive veterinary care—or perhaps even dying. The Foster Handbook describes what to look for, but if you’re not paying attention, no amount of information will safeguard the health of your fosters. Can you get to us quickly in case of an emergency? If animals in your care need medical treatment, you must be able promptly to transport the animal either to the shelter or to a designated veterinarian for proper medical treatment. Are you emotionally prepared to return the animal after the foster period is up? It can be very difficult to let go once you have become emotionally attached to the animals! Remember the day will come for you to bring your foster animals back to the shelter. You will be giving love and attention to the animals every day while they’re in your care. . . then one day they’ll be gone. Your only comfort will be knowing that they are much more likely to find a loving, permanent home because of YOUR work! Can you place your trust in the staff to decide what is best for the animal? Sometimes adoption is not an option even after the animal has been fostered. Knowing that an animal you have fostered may not be adoptable can be very hard to manage emotionally. Do you feel comfortable explaining to friends that these animals are not yours to adopt out and that they must go through the regular adoption process? If you are interested in helping to find homes for your foster animals, you must refer your friends and family to the shelter staff to complete an adoption application. The animals cannot be adopted out from your home. If you’re ready to help Humane Society of Charlotte as a foster volunteer, please become a registered volunteer by completing our online application. You will then receive a message telling you how to schedule your foster parent training. If you have any additional questions, please contact Donna Hans, HSC iFoster Coordinator at dhans@humanecharlotte.org.